Need extra space for an overnight guest? 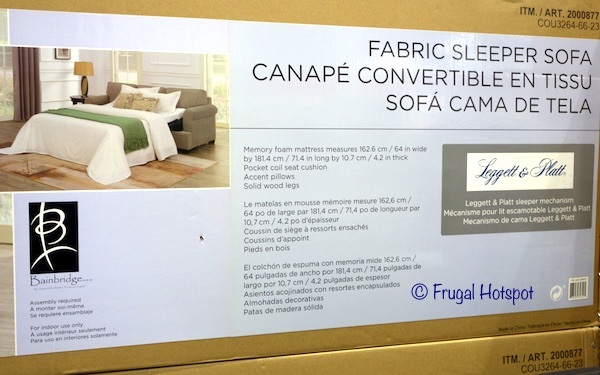 Select Costco locations have the Bainbridge Fabric Sleeper Sofa in stores for a limited time. 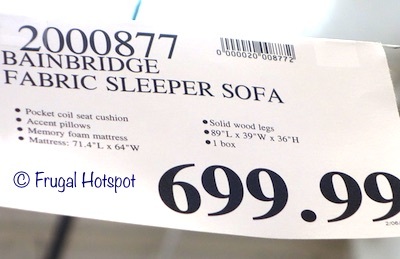 It’s priced at $699.99. While supplies last. Item #2000877. Assembly required. Price and participation may vary by location. This product was spotted at the Covington, Washington Costco. It may not be available everywhere. 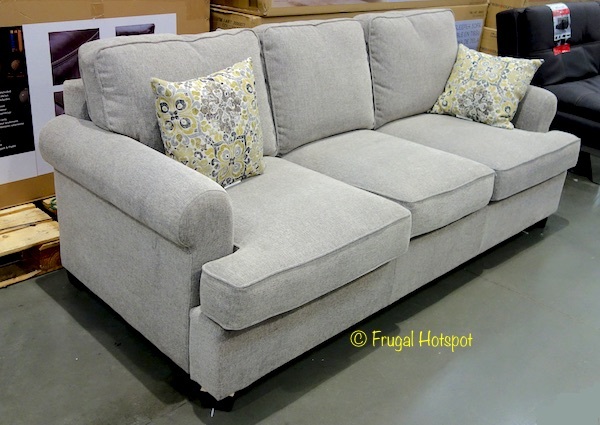 The Bainbridge fabric sleeper sofa has pocket coil seat cushions, solid wood legs, a Leggett & Platt sleeper mechanism, and 2 accent pillows.